If you are looking for an eye-catching 80s fancy dress idea, then here is a costume that is most certainly that! 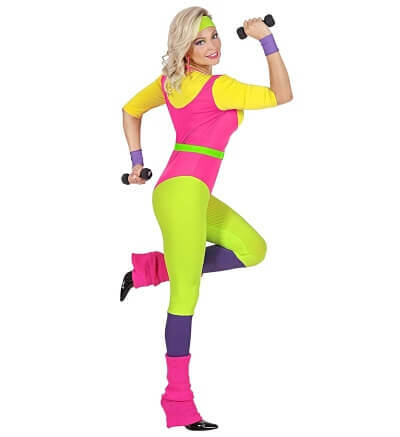 New in at Amazon for Spring 2019 is this very colourful neon 80s aerobics/fitness instructor costume for women. 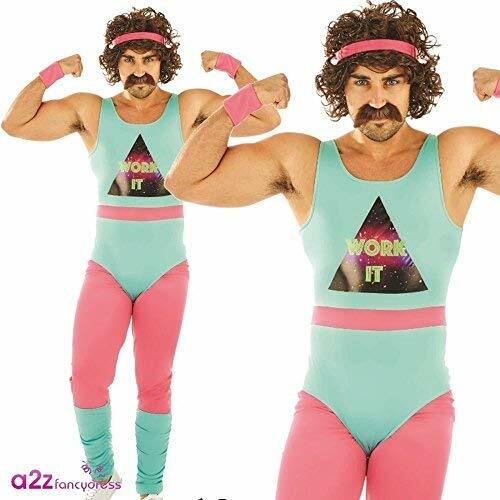 If you remember the 80s fitness craze or waking up to Mad Lizzie or The Green Goddess on breakfast TV during the 1980s, then you can celebrate those long lost years with this outfit. You may also remember those Jane Fonda fitness videos that were in almost every household! 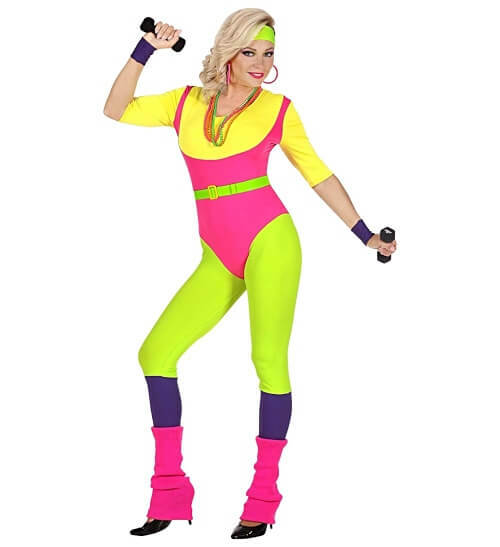 Included is the neon jumpsuit which features a pink leotard, green leggings and faux yellow top all built-in. Plus, you receive a belt, wristbands and the sweatband. This fun workout look is ideal for retro music festivals, fun runs, carnivals and general fancy dress.